Bobbi reached the top of the ladder and her lungs no longer provided the needed air for her exertion. Her head spun and she collapsed. The firefighter caught her before she crashed back to the subway car floor. Moments later the smokey sunlight enveloped the pair. Max whipped around at the sight. His eyes filled with terror. His first instinct was to rip her from the firefighter’s arms. But common sense took over and he let the EMT’s treat her. The next afternoon, Bobbi walked into the locker room. She approached her locker and her heart sank. Plastering the metal doors was the page six photo. “Roberta Wallace, progeny of Wall Street power couple Evelyn Stein and Arthur Wallace attends Gala on the arm of NY Eligible bachelor Andrew Marcus.” She closed her eyes, inhaled deeply and changed into her uniform. The whistles barraged her as she walked into roll call. She gritted her teeth and tried to ignore the joke at her expense. This was her world. She felt she didn’t fit in anywhere. “Are you okay?” Steve asked her. Bobbi watched the sidewalk as they drove. “Yeah, I guess. I knew this would come out eventually.” “Partner you clean up pretty nice.” The black dress with a sweetheart neckline and empire waist flatter her every curve.” Bobbi laughed. Read more about how Bobbi lives in two worlds. 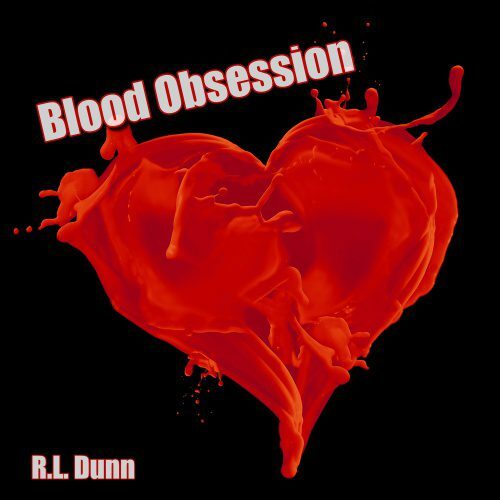 Blood Obsession by RL Dunn is available on Amazon and iTunes. The offshore breeze blew softly. The sails of the boat rippled gently in the wind. Bobbi lay dozing on the deck. Her eyes dampened by tears of her last memories of Erik. She loved him and tomorrow would keep her solemn promise. The police academy beckoned her to begin a new life. Today she remembered his touch. His caress made her quake with desire. They made love that last morning together. His naked body glistened with sweat from their passion. She watched him leave their apartment never to feel his breath against her again.